October makes the heart grow fonder. So much has changed since September 29th: the color of the leaves, the size of the walnuts in the front yard, our New Year's Eve plans, my level of fear while walking through the basement, my relationship with tights, the sweet Paluch trio has gotten a little bigger, and so has my appetite for/obsession with Jolly Good Toffee. It's October 23rd. 150 days into 30. (That's over 3,500 hours. Yeesh) We're almost halfway into this new decade and (I fear if I say it I'll jinx it, but I believe in the power of positive thinking) I feel like I'm enjoying 30 more than any other year in recent memory. There's an extra large list of lessons from the last thirty days so we best get down to business. 1. My karaoke cotillion happened in the most unexpected way. Surrounded by 45-65 year olds in a barn, on the farm of a family friend, fueled by beer-battered fish and bud lights, my flannel-clad-self busted out a memorable, dare-I-say-slightly-epic, performance of "Total Eclipse of the Heart." A magical mix of potluck apple crisps and clear, brisk farm air brings out the best in my vocal performance. The very, very best. 2. Date night makes you like your roommate a whole bunch. Date night can also introduce you to beet/passion fruit marshmallows, pickled mushrooms, rosemary pearls and sour apple terrine. 3. The cover over the sump pump-- it's not impermeable. Just an FYI. 4. 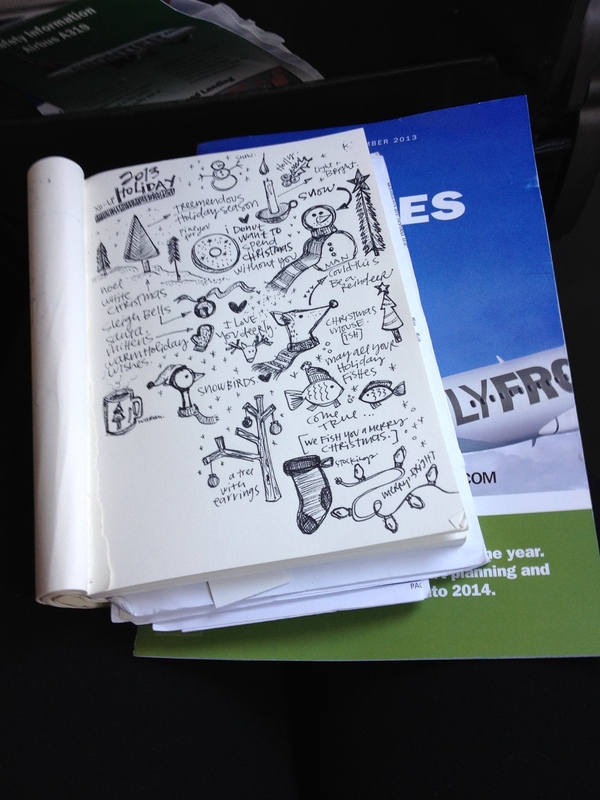 Airplane time is uninterrupted and perfect for drawing. I can't use my phone. I made a conscious effort to stop talking to strangers as often as I once did. So with a sharpie in hand I was free to doodle. And high altitude makes me even funnier. I didn't planet that way (hilarious) but it's true. Thanks to the nice folks sitting next to me for complimenting these bizarro scribbles. 5. Time with an old friend compares to nothing. 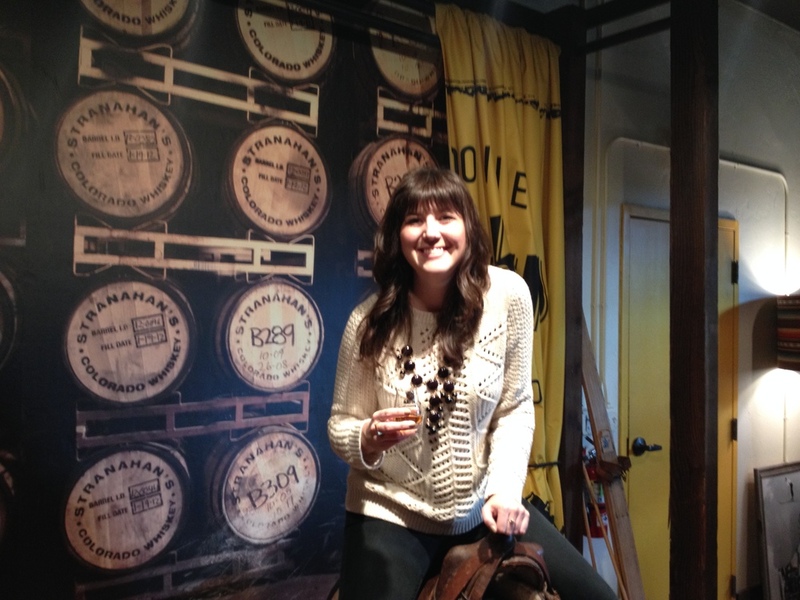 Time with an old friend who gives you her whiskey after the distillery tour makes for an even better weekend. Oh and Denver makes your hair look totally great. Lots and lots of projects in the works on my end, including this super amazing CSA DSM I'm working on with my friend Cat [9 pieces of locally made art. $300. Incredible.] More on my illustrated future coming soon. Now- go out and enjoy these last bits of fall and carve a pumpkin. On a quest: trying to keurig what ails me.